Artificial or induced coma is used to protect the brain by reducing metabolic rate in brain tissue and blood flow. Such who are generally controlled dose of barbiturates, at least – gradually reducing the temperature of the environment. 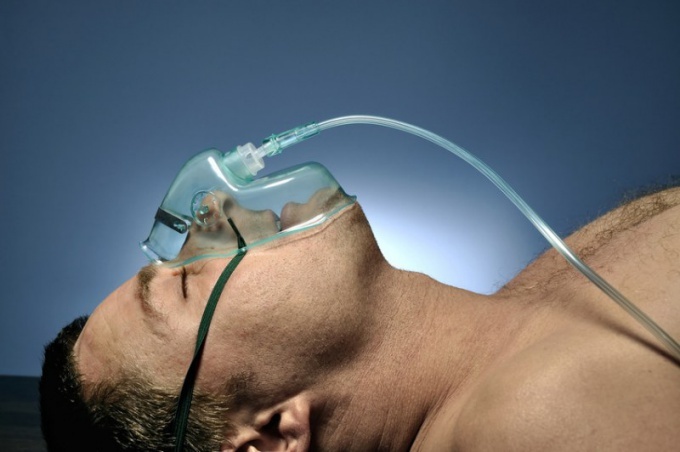 Artificial (medical induced, drug-induced) coma occurs when the patient is under the supervision of a physician administered the anesthetic – propofol, phenobarbital, thiopental until he will not fall into unconsciousness, like a real coma. The main difference is that in a coma the patient can be withdrawn from it at any time, while the human condition in non-drug-induced coma, unfortunately, is not controllable. Causing an artificial coma, the doctor injects the medication and monitors the brain waves of the patient on the EEG when they are damped out, the desired state is achieved. Induced coma is used to protect the brain after some traumatic brain injury and several serious operations on the brain such as the removal of arteriovenous malformations or aneurysms. One of the biggest dangers of traumatic brain injury – intracranial hypertension or high blood pressure. It can be caused by head injuries, and medical condition of the patient, such as stroke, certain infections, tumors. When the brain receives trauma, excessive fluid accumulates and causes swelling of tissues. The skull does not allow for the extension of the brain and if the pressure is not reduced, the oxygen can not reach all of its tissue, plus they can just be squeezed, this could cause damage, death and, consequently, irreversible damage including death of the brain. Barbiturates reduce the metabolic rate in brain, constrict blood vessels, reducing blood circulation, the liquid becomes less, the swelling is reduced and damage can be prevented. Brain with poor blood circulation and metabolism safer and easier to do the surgery. The term, which is introduced into an artificial coma if it is not caused by preoperative necessity, depend on the nature of the injury. Sometimes a coma can last up to six months. Scientists estimate that about 25% of patients emerging from an artificial coma, experiencing different side effects. These include a negative impact on the cardiovascular system, violation of peristalsis of the gastrointestinal tract, the immune reaction of the body. Often during a medical coma and other types of lump, the patient developed infectious lung disease. Some patients had been in induced coma, talk about what he experienced vivid hallucinations and nightmares. Doctors, immersing the patient in an artificial coma, always carefully weigh the potential benefits and risks.